This entry was posted on March 9, 2015 by Perry Young. 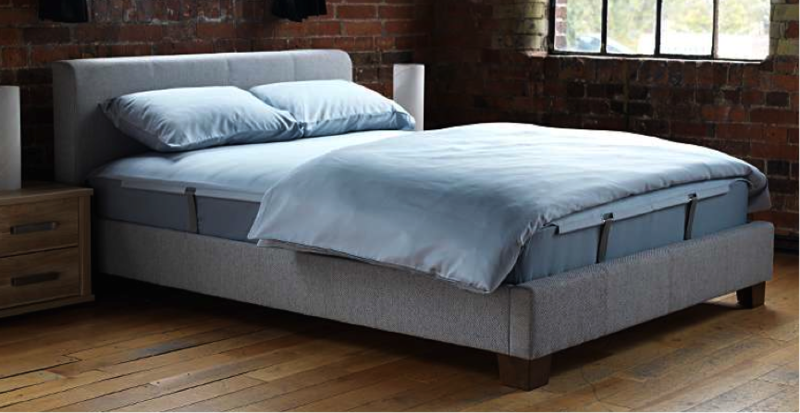 In part three of our bedroom inspiration series by Stylefast Polefit Bedding will explain how to make the perfect bed. Nothing beats coming home from work to a freshly made bed. Crisp ironed sheets, fluffy pillows, and a warm duvet helps you reach the land of nod and sweet dreams. Below are some useful tips on how to create your perfect bed that leaves you refreshed and recharged for the day ahead. Be warned, you may never want to leave your bed again! Your mattress is the foundation of your bed so choosing the right one is essential for a good nights sleep and creating the perfect bed. It really depends upon your own preference and body. On average, people spend £800 on a mattress (some are up to £3,000) so do your research and carefully consider which type to go for. 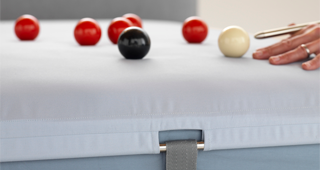 There are four main types each with their own characteristics and benefits, pocket sprung, memory foam, natural latex and continuous springs. Avoid shopping for a mattress when sleepy, as any type will feel great lying down on. Lay a mattress protector on top to prevent body stains and extend the life span of your mattress (up to ten years). Don’t let thread count numbers pull the wool over your eyes, so to speak, when choosing your bed sheets. Thread count is the number of threads woven into one square inch of fabric. Calculated by the vertical and horizontal weave, TC varies from 200 to 1000. Much has been written about the importance of a high thread count for your bed sheets equating to the perfect bed but it is not as simple as higher the number, higher the quality or softer the bed sheet. Another aspect to consider is the cotton type, Egyptian, Sea Island, Pima or Sateen, as these will feel softer naturally compared to higher thread counts on polyester or rayon blends. Especially with Polefit Bedding (300 thread count) as the sheet will be so taut and smooth (no need to iron) it has the opulent feeling of much higher thread counts. Pillows are where you rest your head so they have a big impact on your sleep; neck and shoulder pain can be cited from bad pillow support. Select one that holds your head in “relation to your shoulders and spine as if you were standing upright with the correct posture, and be tucked well into your neck and shoulder to support your head fully” - The Sleep Council. 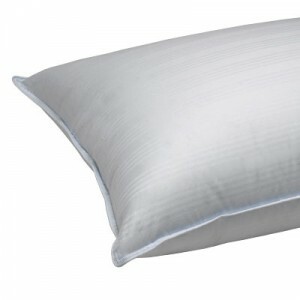 Choose a pair of Siberian goose down pillows for the ultimate in soft pillows or a memory foam type for a moulded fit. Kip tip: leave your pillow in the fridge if you are too hot in bed during the night, for more kip tips read our blog here. After your perfect bed is complete now start looking at the features of your bedroom such as lighting or textiles. You can read more on these bedroom inspiration ideas here. We hope this bedroom inspiration series by Stylefast Polefit Bedding has begun to inspire you to create your perfect bed in one way or another, let us know in the comments below if you have any perfect bed tips- we'd love to know what you think!